Product information "Sachtler System 20 S1 SL HD MCF"
Even when dealing with heavier payloads, you should never have to sacrifice stability and versatility. 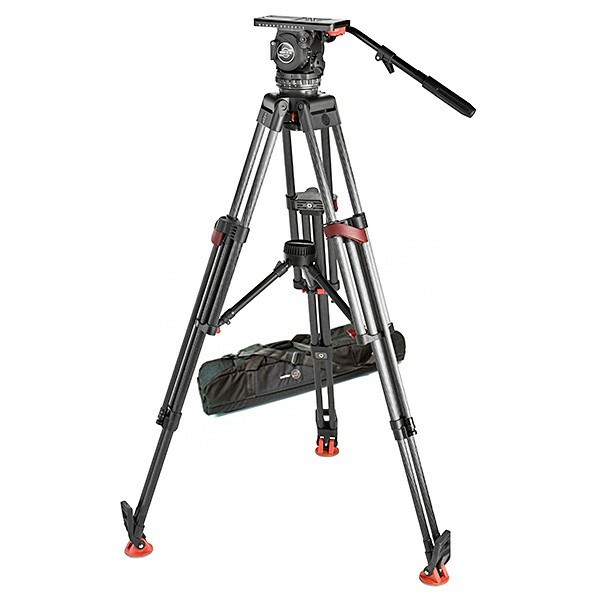 The Sachtler SpeedLock Heavy-Duty Carbon Fibre Tripod gives you same speed and simplicity, but with the added bonus of a maximum load of 95 kg. This makes it solution optimized for intense EFP and film productions. The dual-extractible Sachtler Speed Lock CF HD is always ready for action.. It features a patented three-step clamping system that locks the tripod legs in place in seconds and allows you to make smooth and secure adjustments even with your camera mounted. The carbon fibre design gives you stability and twist resistance, while the clamping connection forms a third tube to further help you stay balanced. This stability doesn’t come at the expense of versatility, with a maximum height of 161 cm, a weight of 4.5 kg and a transport length of 75 cm. Related links to "Sachtler System 20 S1 SL HD MCF"
Our comment on "Sachtler System 20 S1 SL HD MCF"
Customer evaluation for "Sachtler System 20 S1 SL HD MCF"